Chase’s early numbers on Apple Pay adoption are promising: More than a million of the bank’s customers have added debit and credit cards to the service since it launched last October. That number is slightly higher than rival Bank of America’s, which saw 800,000 customers rush to add 1.1 million cards to Apple Pay between the mobile payment program’s launch Oct. 20 and the end of 2014. Apple CEO Tim Cook said that as of December, Apple Pay comprised $2 of every $3 spent with mobile payments at supporting retailers. Apple hasn’t released any other Apple Pay adoption numbers. 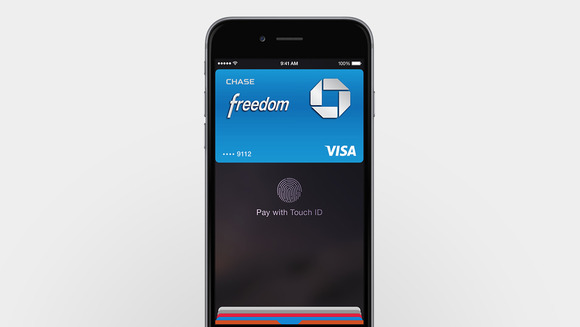 But Chase had a few more Apple Pay stats to share during its Investor Day on Tuesday, AppleInsider reported. Though the company didn’t say exactly how many cards its million Apple Pay adopters added, Chase Card Services CEO Eileen Serra told investors that Apple Pay users are nine years younger and make 21 percent more per year than the average Chase customer. They also tend to use credit over debt, with 69 percent of Chase transactions on Apple Pay made with credit card and 31 percent debit. Chase didn’t see a burst of adoption in Apple Pay’s early days and then a drop-off—in slides shared with investors, the company showed that card provisioning continues to grow month over month. Serra said she expects more customers to get on board with Apple Pay as more retailers start supporting it. Though Apple Pay isn’t yet up-ending the payment industry, the early numbers we’re seeing are promising. As efforts to expand Apple Pay into Europe and China continue and more stores and apps start supporting the service, Apple could actually change the game—a threat that Google and Samsung are now taking seriously.